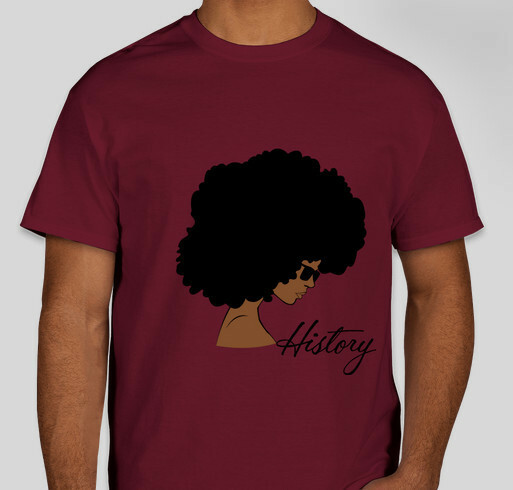 Buy A Shirt In Support Of Black History Month & Donating To A Local Black Charity (TBD) To Help Raise Awareness ! All funds raised will go to RE Raises Awarness In Light and Support of Black History Month, the organizer for Rushed Evolution Supports Black History Month. Black History Month has been an outlet for black people to highlight their strength, excellence and resilience throughout the years. In an effort to stand in solidarity with our culture and pay homage to our ancestors, current activists and even big ups to our aunties, we are fundraising to continue to move our history along the path of greatness. You can support the cause by purchasing our T-shirts, donating or if you're currently unable to give at the moment, a simple share and repost will suffice. Stay blessed and black ! Never forget to give back !! Share Why You Support "Celebrating The Skin You're In & Spreading Awareness To Show How Great We Are"